Everyone is talking about disruption. It’s the word of the year in HR circles. Everyone has a view on what it is, what it means and how we do it. Growing up, being told you were disruptive was a bad thing. Now we are told disruption is cool, we need to be disrupting. I’m a music obsessive from my teenage days. Every week, I used to spend hours trawling through record shops buying, listening, consuming. I was lucky enough that my teenage years coincided with the punk rock movement. Punk caused a seismic shift in society and the music industry. Suddenly record contracts were not the sole domain of the rich, the established professional and the well trained. Anyone could start a band, gain a following, get a record out. No one writing about the bands you liked? Easy. You started your own fanzine cobbled together in your bedroom, photocopied cheaply and sold at gigs. It was that easy. Record companies responded by signing all the main bands that were suddenly popular. Over time of course, capitalism triumphed over chaos and order was restored. But punk’s enduring legacy was an attitude in society that anything was possible, that we didn’t have to accept what we had always been told and that the old establishment order could be blown away or at least destabilised. And all of this was before the internet age of course. And then came Napster. I have just watched Downloaded, a documentary about the rise and fall of Napster. Once again, the music industry was caught out, unprepared for a seismic shift delivered by teenage kids who wanted something different. 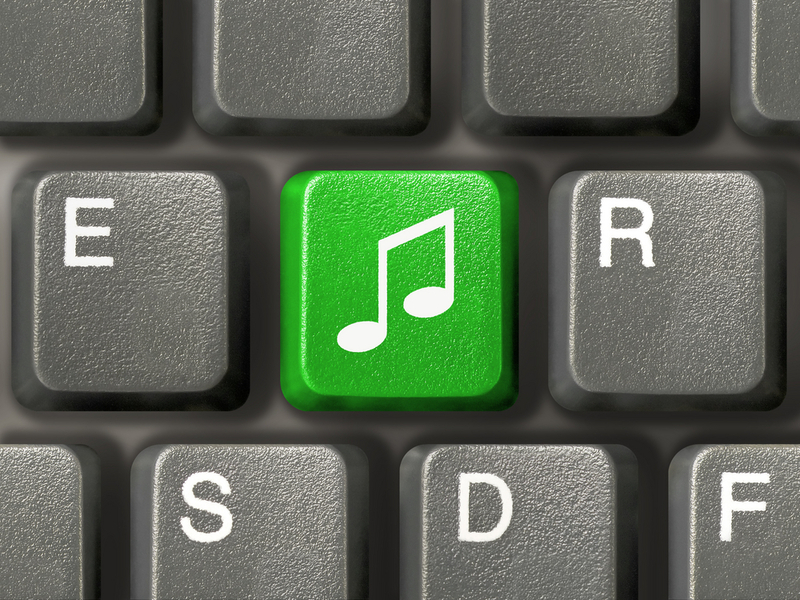 In this case, technology that allowed peer to peer sharing of music files. Music was still controlled by record labels in the late 90’s. Lazy, bloated, complacent beasts of money sucking corporate vultures. But music sales were starting to drop alarmingly. Records were on the way out and all but gone, replaced by first cassette tapes and then compact discs. Each new iteration allowed the music industry to re-package and re-sell old product but at the same price as new product. In the days of records, each new release would come perhaps with several different versions of cover, or a limited edition coloured vinyl, or a 12 inch extended remix with a different track on it not available elsewhere. Fans and buyers were being fleeced. Artists themselves were also often ripped off by greedy record companies using restrictive and one sided contracts. And it still happens today. The album is released, followed a few weeks later when sales start to flag by a deluxe edition with additional tracks that the true fan has to have. That’s why I personally never felt guilty about downloading free music, much of which I had previously purchased in other formats. It felt like I was fighting back. What Napster achieved was massive, a disruption that completely changed how we obtained and consumed music both for consumers and the artists. The music industry responded by trying to shut it down, painting Napster as pirates and thieves, suing individuals who downloaded music through the site. The tried to restore the old order without ever looking at the bigger picture. They never tried to embrace it. Ironically, in the previous two decades, every record sleeve came with a message that “home taping is killing music.” And what were we guilty of? Sharing music we liked with friends, putting compilations together, recording stuff off the radio and at gigs. The industry didn’t heed their own warnings however and Napster simply updated that concept and put everyone’s favourite music in a space we could all access it. Most of those record labels no longer exist of course, no longer relevant or needed in an industry that moved on when they weren’t looking. They failed to invest in the future and technology. Although they ultimately crushed Napster, the genie was out of the bottle. By the time Napster and the many other file sharing sites that sprung up had run their course, allowing hundreds of millions of people to download just about anything and everything they ever wanted, Apple had the iTunes model that was the best of both worlds – easily downloadable music for a variety of devices with royalties going to the artists. And the technological implications of what they did went far wider than music. The annual Human Synergistics conference that takes place in New Zealand’s main centres also focused on disruption this year in the context of organisational change and leadership. Always worth attending just to hear Shaun McCarthy speak, this year was no exception. McCarthy talked passionately about the need for cooperation rather than competition, inter-unit coordination, open unfiltered upwards communication and downward communication that emphasises learning rather than blame. One speaker suggested that your organisational culture is a perfect predictor of how it would respond to disruption. Would your organisation respond by trying to shut down and crushing the threat, or by cooperating with and embracing the change? As I look across the New Zealand HR landscape and beyond, I see lots of people with disruption on their minds wondering what it all means and how they change the game. It seems we are waiting for the seismic shift to occur (a metaphor particularly pertinent in earthquake prone NZ). The point of all of this is and what we learn from the music industry and other similar events in history is that disruption itself is not the change, nor is it the destination. If you have an end game in mind or a clear plan it isn’t disruption. No, disruption is merely the catalyst for change, for something far greater, so far reaching that we can’t see it at the time. That’s when the game really changes. The 12 blogs of Christmas 2014 – back like Band Aid!